As many of you may be aware December is a key month for disability, we are currently mid way through Disability History Month. My website has a core purpose and that purpose is to make the world of fashion and personal care accessible to blind and partially sighted people. So, today I come fourth to reveal to you one of my key inspirations in the world of disability and my reasons for this. Having always had a keen interest in art and design, being heavily influenced by my mother who took me to art galleries and events from a young age, this has lead to to support charities and to raise awareness for the conversion of art into accessible formats for blind and partially sighted people. Living Paintings being the first and foremost example, a charity that makes tactile images of art and tactile picture books with audio CD’s for blind and partially sighed people. I am a huge supporter of this charity due to their dedication and their determination from the early 1980 when they began. I also recently had my first article published for The Guardian, which was a huge achievement for me. 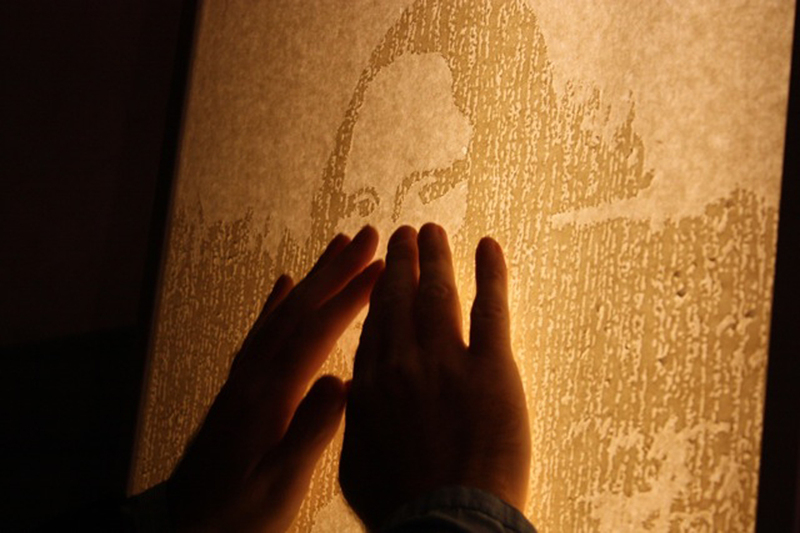 The piece was on art and visual impairment and marked the launch of the first ever Touch Art Fair click here to view. Despite the fact that I study English Literature, a subject that I utterly adore and am fascinated with. I always felt that the world of arts and culture is a gap that needs to be more closely bridged and I hope that my contribution as the founder for fashioneyesta.com goes some way towards this. But, of course the reasons behind my pathos for making the world of art and culture accessible to visually impaired people has a starting point and this is of course where my inspirational figure with a disability can be found. 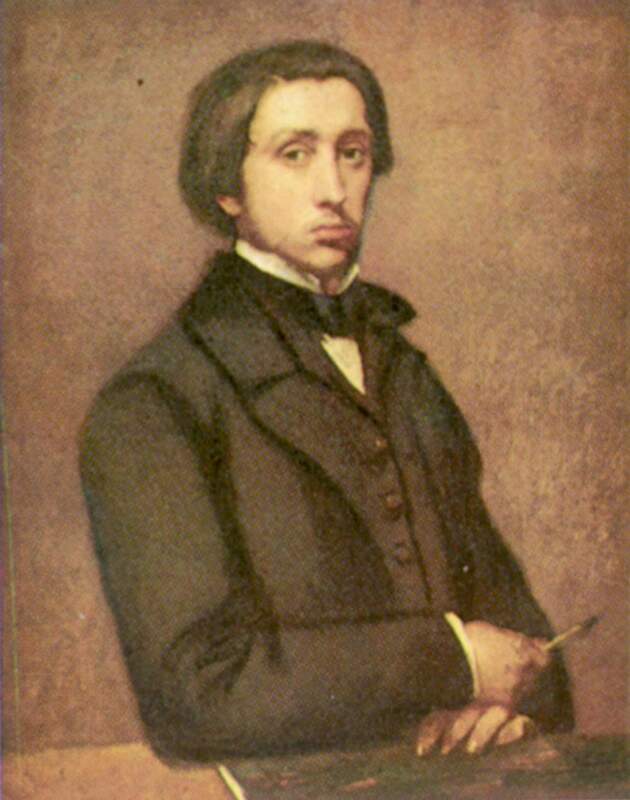 Edgar Degas, born in Paris of 1834, an essential figure in the world of art and one of the founders of the revolutionary art movement Impressionism. An art that essentially consisted of capturing passages in time, light and the representation of humans partaking in everyday activities. In the year of 1870 Degas enlisted in the National Guard to defend France in the Prussian War, at the same time he began to loose his vision, he was only 36. 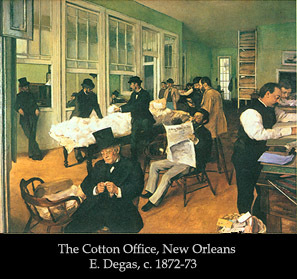 His career began when he traveled to the New Orleans alongside his brother, where he painted one of his most famous works The Cotton Office. On returning to Paris he, alongside other impressionist Artists including Edouard Manet, Claude Monet, and Paul Gaugin put together one of the first Impressionist exhibitions. His work received a good reception for art critics and the public, despite the early disapproval of the Impressionist Movement. 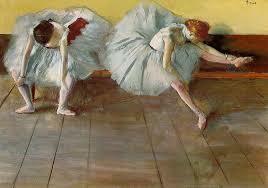 He is well known for his paintings which captured the real life movements of ballet dancers. Throughout his life he continued to battle with Retinopathy. Bright light conditions and severe weather he found most intolerable, which is why he was forced to find alternative settings to paint and create his works. 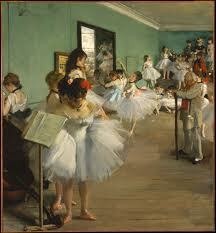 He majorly worked in dim lighting conditions in which many paintings depict the low level of light. However, in spite of this he was still able to produce outstanding pieces of work which were the defining pieces of his art career. “What lovely things I could have done, and done rapidly if the bright daylight were less unbearable for me. To go to Louisiana to open one’s eyes, I cannot do that. And yet I kept them sufficiently half open to see my fill.” – 18 February, 1873. At times in his life Degas records in letters to his friend how he would be forced to rest his eyes for weeks on end whist he allowed his eyes to recover from strain that he incurred from painting. At the age of 39 he resigned to a fate of future blindness, however he continued to paint, having to limit the time that he could do so considerably. 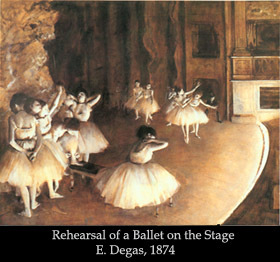 In his forties, Degas lost a great deal of his central vision, causing painting to advance into a new stage of difficulty. However, he continued to find alternative ways around these obstacles that his sight loss caused him to face. He was forced to paint using his peripheral vision to then having to ask the models he painted to identify colours that he could no longer see. In his advancing age he alternated his method of producing art and instead alternated to producing sculptures. 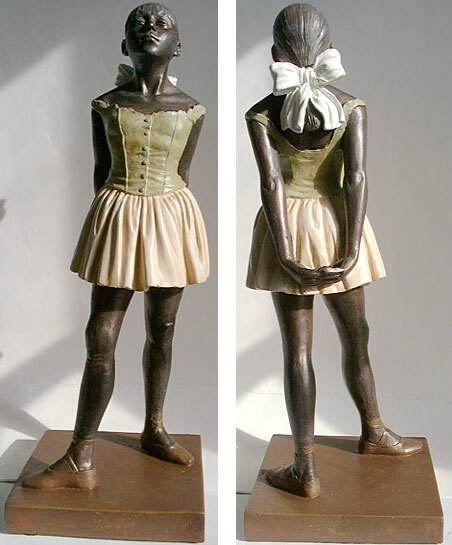 One of the most famous sculptures being the Little Dancer in which a young girl wearing ballet attire and her hair tied back with a ribbon. Another example of the sculptures he produced one of a ballet dancer in a sitting position, the piece is known a L’attenette. Despite his advancing sight loss, Degas strived to find alternative solutions to conquer his disability and made an immense contribution not only to art and Impressionism, but to the world of Disability as a whole. It is because of him that I have been inspired to begin my website to make fashion and style accessible to blind and partially sighted people, but also to campaign for the world of arts and culture to be made accessible. 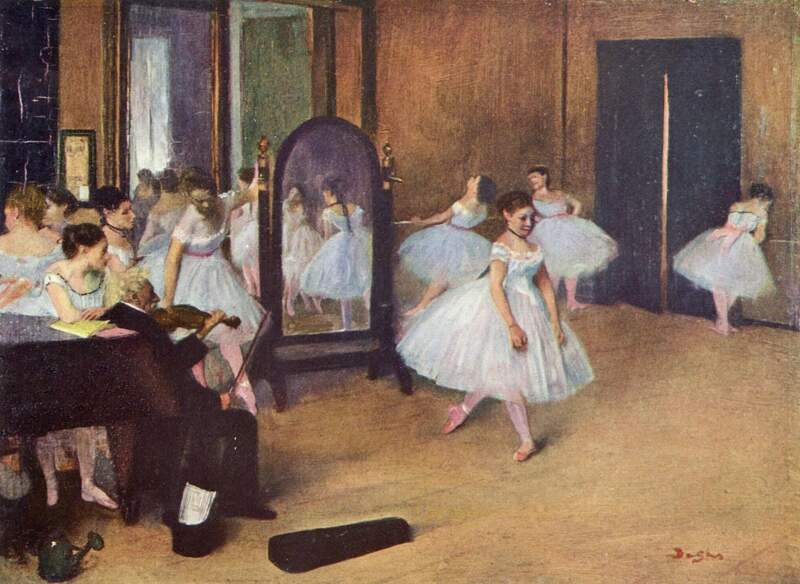 Edgar Degas: A true inspiration, a man who battled against his sight loss and never let his disability come between himself and what his passion. Very descriptive blog, I enjoyed that bit. Willl there be a paart 2?